SAN FRANCISCO — Peter Magowan, former chairman and CEO of Safeway and owner of the San Francisco Giants, died on January 27 at age 76. Magowan had been ill for several years after undergoing treatments for liver and prostate cancer, according to published reports, which cited his wife Debbie Magowan in saying he died surrounded by family and friends. After a 13-year stint as Safeway’s CEO, Magowan relinquished day-to-day oversight in 1993 to devote himself to running the Giants. He was succeeded as CEO at Safeway by Steve Burd. 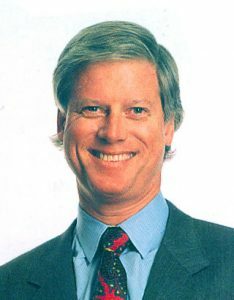 Magowan had served Safeway in different roles after his graduation from Oxford University with a master’s degree in politics, philosophy and economics. Magowan also earned a bachelor’s degree in American Literature from Stanford University. Magowan’s father, Robert A. Magowan, took control of Safeway in 1955 and was credited with a turnaround that led to Safeway’s emergence as the nation’s largest supermarket chain. Under Peter Magowan’s stewardship, Safeway experimented with new store formats. He also introduced pharmacies to some of its stores, and accelerated a decentralization drive that gave greater authority to local divisions to do their own merchandising and pricing.